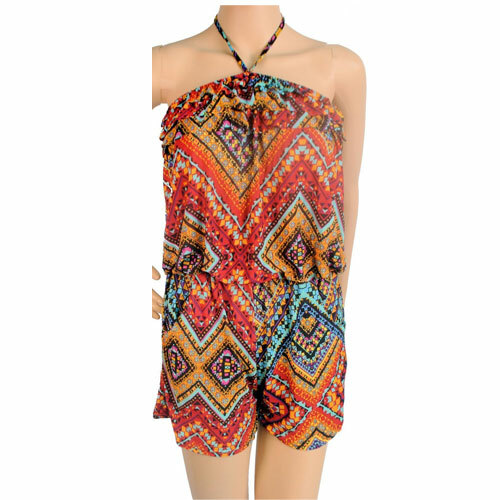 All in one jumpsuit / romper / playsuit / shorts/top combo. 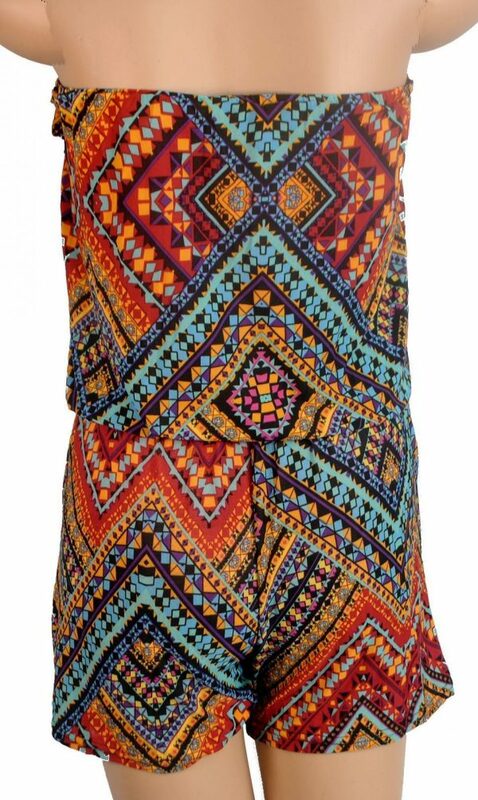 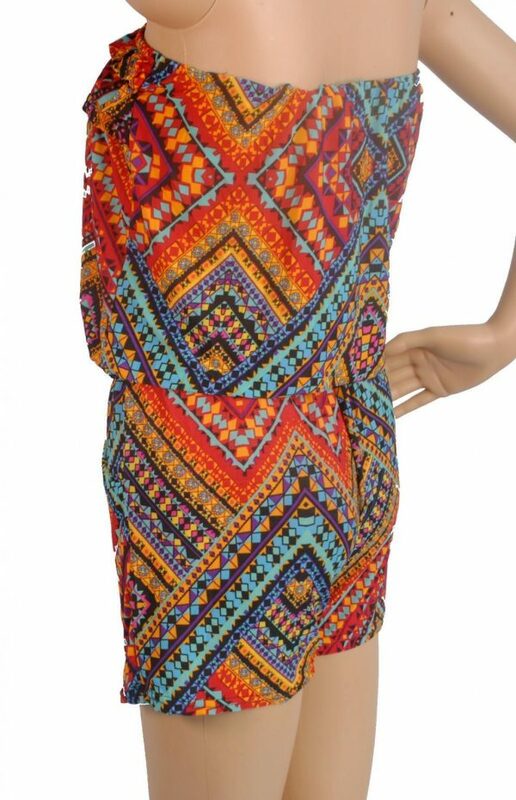 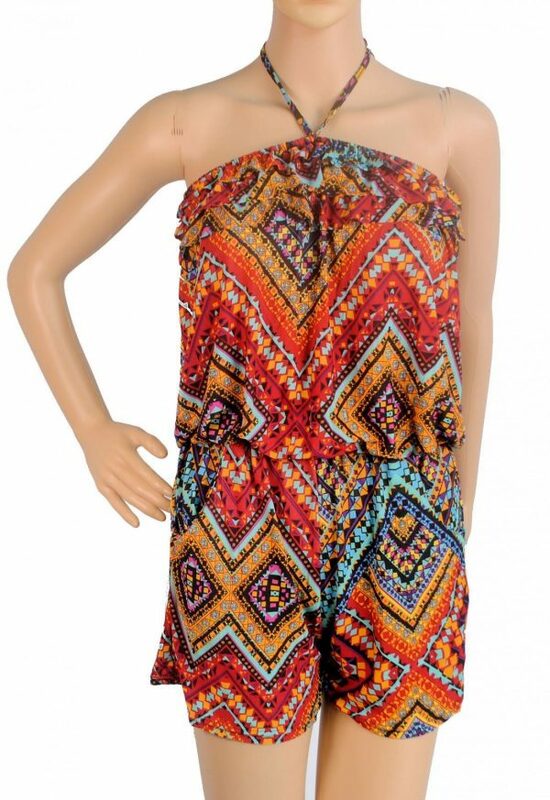 Aztec vibrant multicoloured pattern with very funky stylish boho detail. 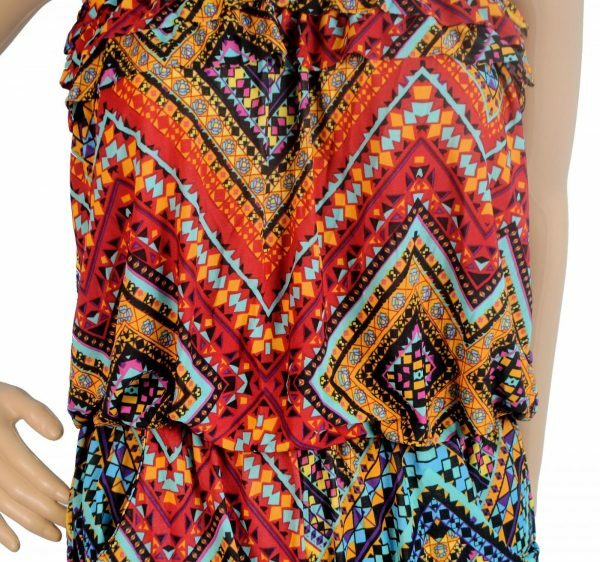 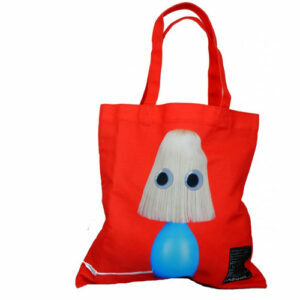 bust up to 36″ , waist 22-30 inches , length from armpit – 30 inches.